PETRONAS Carigali Indonesian Operation - PCINO is a well-established multinational company in Indonesia, running business in energy industry. 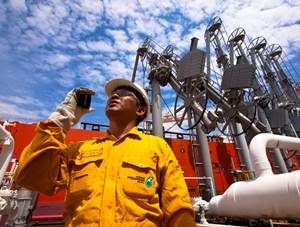 Petronas Carigali Indonesian Operation has core business focus on upstream oil and gas industry. Its business include exploration, development and production of oil and gas in Indonesia. PCINO is under the Production Sharing Contract (PSC) arrangements with the Indonesian Upstream Oil and Gas Regulatory Special Task Force (SKK MIGAS). PETRONAS Carigali Indonesia is currently holding participating interests in 8 blocks across Indonesia, with 5 of them already in production stage. PCINO is the Indonesia operation of Petronas Carigali Sdn Bhd (PCSB), an upstream subsidiary of Petroliam Nasional Bhd (PETRONAS Group). PETRONAS Group is the national oil company of Malaysia wholly-owned by the Malaysian Government. PETRONAS Group is a FORTUNE Global 500® from Malaysia that is involved in integrated oil and gas industry. According to information found in PETRONAS Group's website as cited by JobsCDC.com, PCSB is the oil and gas operating arm of the Exploration & Production Business of PETRONAS Group. Bachelor degree (S1) with a minimum of 8-10 years relevant working experience in Oil & Gas industry for senior position and 5 years for position 2 and 3. Those who has KTP Gresik are preferred. All candidates must be proficient in both English and Bahasa Indonesia (oral and written). JobsCDC.com now available on android device. Download now on Google Play here. Please be aware of recruitment fraud. The entire stage of this selection process is free of charge. Petronas Carigali Indonesian Operation - Engineer, Document Control, Electrical Technician PETRONAS Group December 2018 will never ask for fees or upfront payments for any purposes during the recruitment process such as transportation and accommodation.